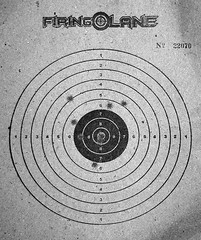 I had this opportunity to shoot in Firing Lane in SM Manila last Sunday (April 23, 2006). It was my first time to shoot in this game. For a fee of P30 I was provided with 8 bullets to shoot at the target. I highlighted my shots in this image. 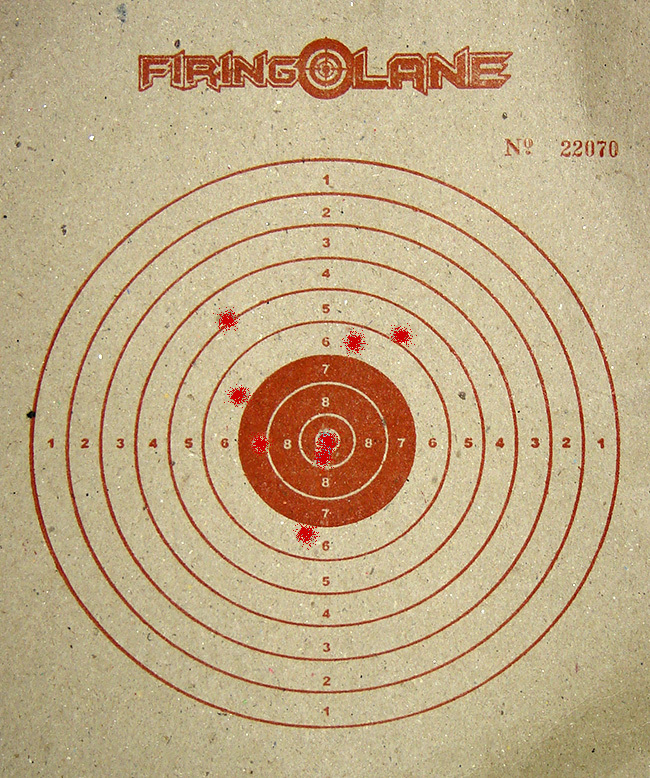 It was terrific, one of my shots actually hit bull’s eye, while another was really that close. As a prize, I was given a 30 minute free computer/internet/gaming usage at Netopia. Posted on April 29, 2006 by deuts. This entry was posted in Chess and Games. Bookmark the permalink.